ART NOUVEAU FIREPLACE. 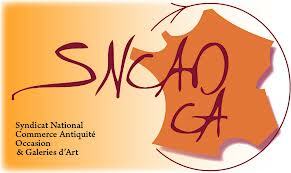 EARLY XXTH CENT. 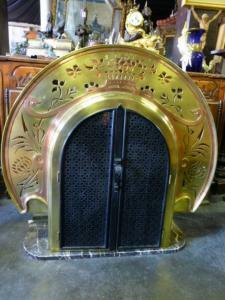 Fabulous Art Nouveau fireplace, bronze and copper made. 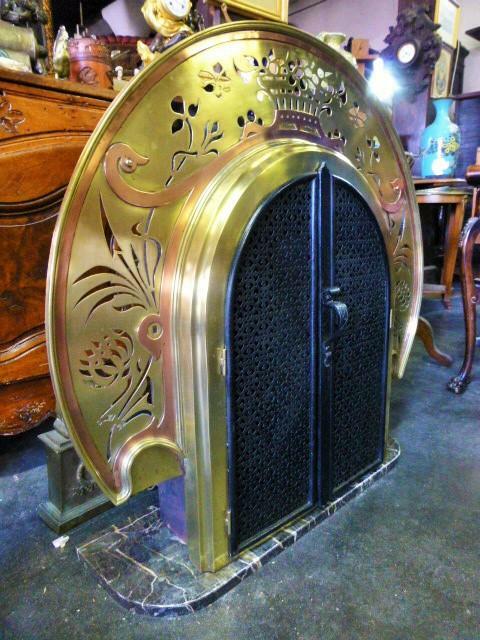 Numerous details make this fireplace an real element of decoration and design. 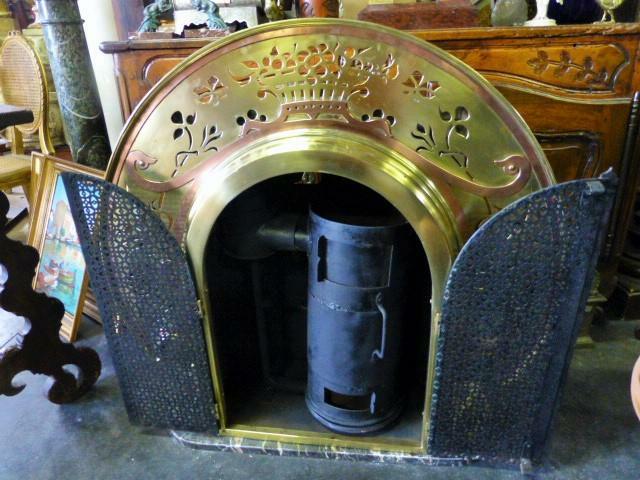 The sharpness of details and the used materials make of this fireplace an element of full decoration. 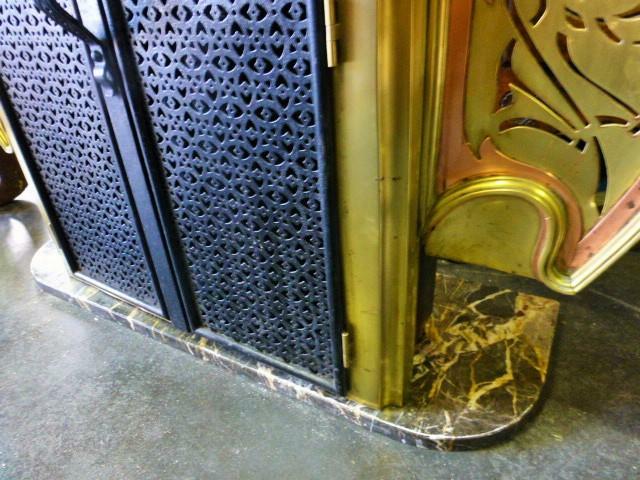 Very beautiful motives are present on the bronze plate and the relief copper motives bring o many originality to this fireplace. 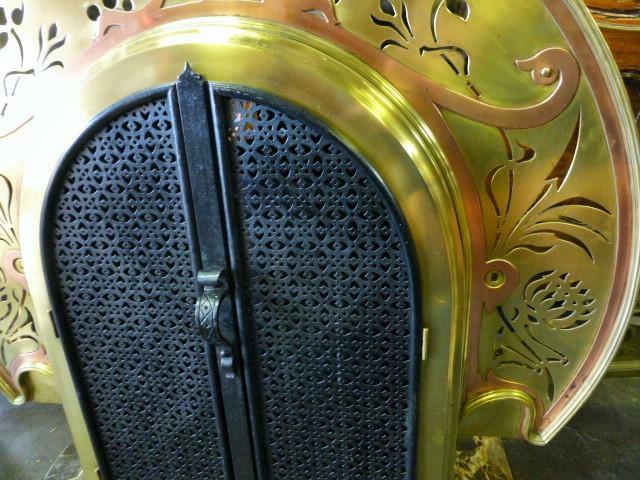 The cast iron railing opens and let appear the fireplace hearth. Finally, a marble plate supports the set for a very harmonious final appearance.